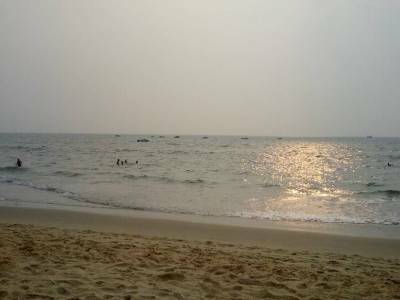 Cavelossim beach in Goa is one of the most picturesque beaches in the whole India. 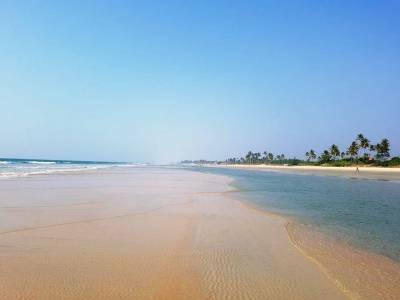 Located in a stretch between the calm Arabian Sea and the modest Sal River, Cavelossim beach is a destination for solace of mind. 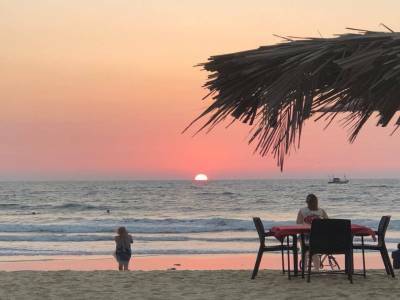 The view is very pleasing to the eye not just because of the two different waters but also because of the canvassed back drop of the paddy field and the rural scenery of the Goan outskirts. The Cavelossim Beach is a sandy white one with a palatable scattering of contrasting black coloured basaltic rock, which not only ups the beauty of the beach but also facilitates terrain for fishing and water sporting activities on and off the shore. The Cavelossim beach is not the only beauty spot of the southern parts of Goa, the seaside serene village and the peaceful yet gorgeous Holy Cross church increases the attraction quotient of Cavelossim manifolds. The place is truly a travelers and tourist paradise for they can enjoy the place in every mood - to rest, to party, to eat or to play. There are many restaurants and tourism related shacks along the shoreline by the main connecting road. 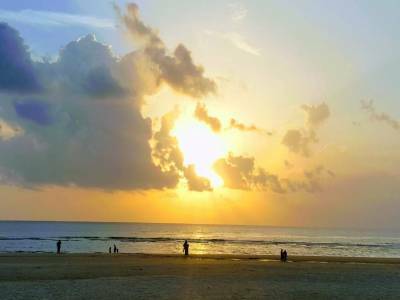 The location of Cavelossim beach is in vicinity of historic Margao and it is the perfect gateway spot from the hustle and bustle of cityscape. There are many resorts and hotels for the travelers to stay and rest. The water sporting activities are very popular among the tourist especially the catamaran sailing and kayaking. 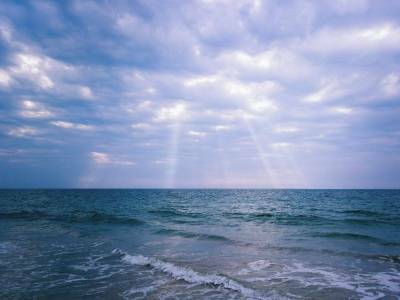 For beach activities tourist will have bilking, beach spas, dolphin watching and many more. Get quick answers from travelers who visit to Cavelossim Beach.